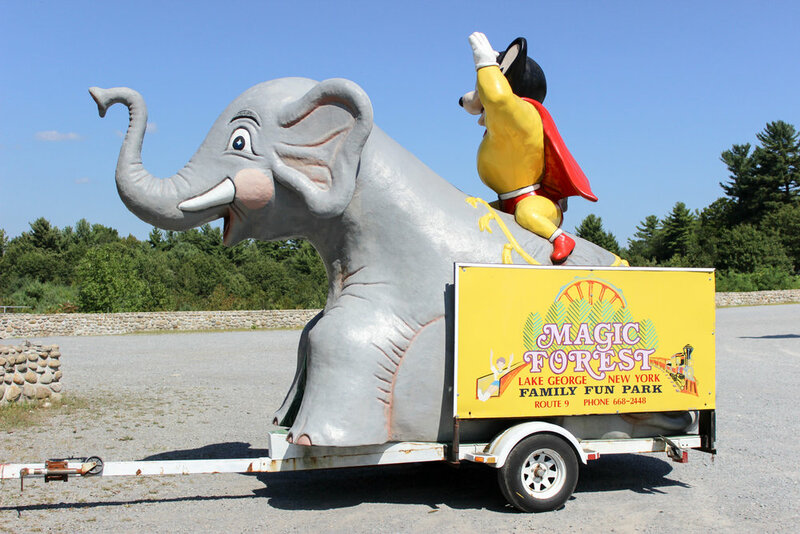 I recently found out that the Magic Forest—my heaven on Earth, a fairytale/Christmas/safari park, mecca for fiberglass statues and home of the last diving horse attraction in the country—has closed. 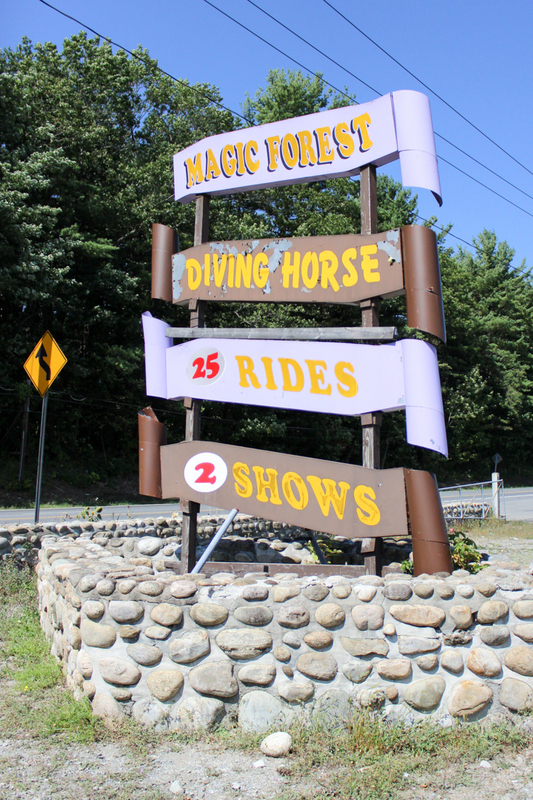 I went to the Magic Forest, located in Lake George, New York, twice, but only once when it was actually open. On our visit in September of 2015, we spent the entire day walking the grounds, watching the shows and riding the five rides that were accessible to adults. The front desk employee actually tried to dissuade us from even entering the park when she saw that we didn’t have any children with us, but she relented once she realized that we actually knew what we were getting ourselves into. The ladies at the snack bar were putting together a puzzle in between filling orders; I put a quarter in a prize machine in the arcade, and received no prize; we tried to play ski ball but the machines were too jammed with quarters to accept ours; the gift shop closed before the park did, but they let us come back the next day to pick up some souvenirs; the magician doubled as the emcee for the diving horse, and made balloon animals in between shows to give to the children—for $2 a piece. 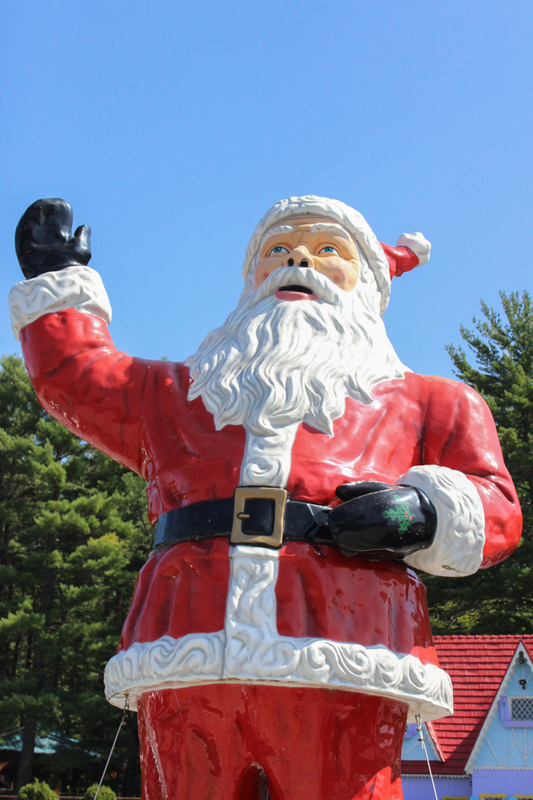 American Giants, champions of Muffler Men and other large fiberglass statues, are facilitating the sale of the Magic Forest’s impressive collection—a lot of the more famous pieces have already sold, but you can check out the online auction here. I don’t have the money or the storage space to purchase anything—for just $12,000 my dream of becoming the old lady who lives in a shoe could become a reality—but I do have photos of pretty much everything since I was obsessive about documenting our visit (this is just 81 of the 521 photos I took). 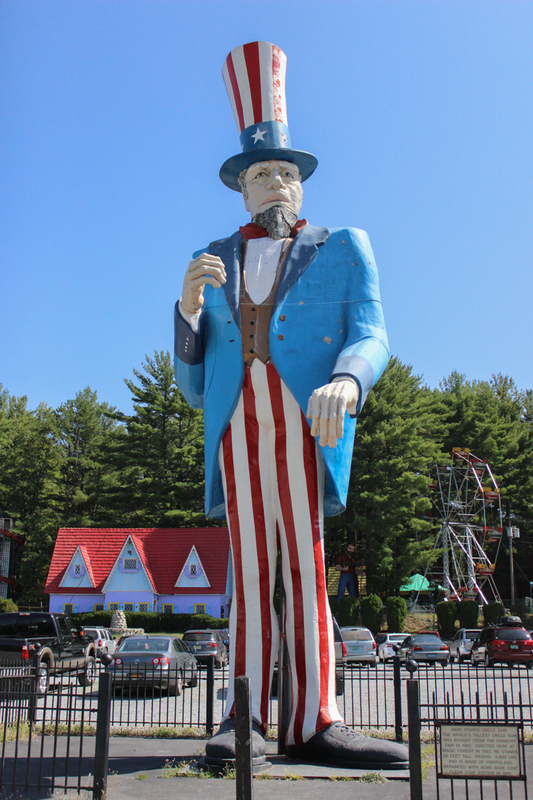 I also, like countless people who have visited the park since it opened in 1963, have the memories. Nothing stays the same forever, and this fact of life is equal parts comforting and terrifying. But no matter how much we may try to, we can’t actually stop things from changing. People die, businesses close, relationships end. But still, we dive again and again—like Lightning the diving horse—hoping somehow this time it will be different. Secretly knowing all along that when we cease to change, we cease to live. The morning before we went to the Magic Forest, we ate breakfast at a diner nearby. David took a photo of me, sipping my coffee and I remember saying “I don't think I can be any happier than I am right now.” I was being dramatic, of course, and if I’m really keeping score I can think of several other moments where I felt just as happy—if not happier—than I did right then. But would I have been so happy if I didn’t feel as if we were about to cheat time by finally exploring the Magic Forest, a park that by all logic should have closed decades ago? I’m not exactly sure how or why most of my interests are endangered in some way—diners and outdated roadside attractions and abandoned buildings on the verge of being destroyed completely—but perhaps it is their precarious nature that draws me to them. The urgent need to experience, to document, to be able to say I was there, I am here. Want more? See all of my Magic Forest posts here.